Land area: 829 sq. mi. Water area: 3.6 sq. mi. 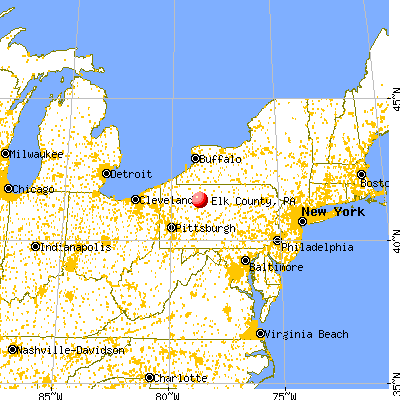 Population density: 38 people per square mile (low). Industries providing employment: Professional, scientific, management, administrative, and waste management services (24.6%), Educational, health and social services (21.2%), Construction (14.2%), Retail trade (11.7%). 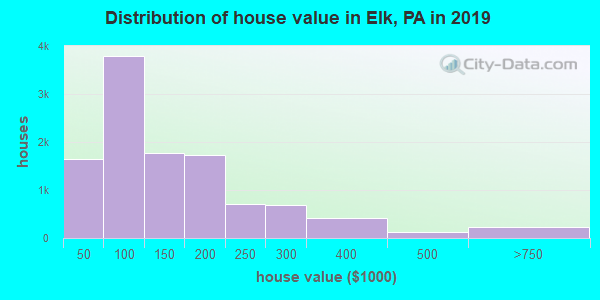 Fair market rent in 2006 for a 1-bedroom apartment in Elk County is $427 a month. 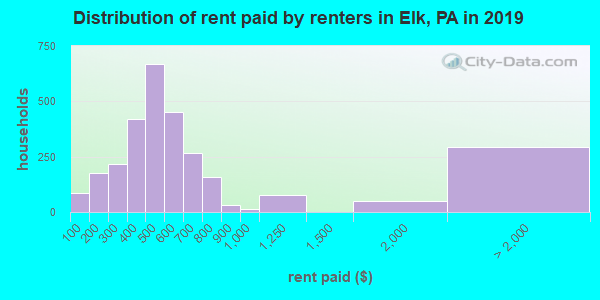 Fair market rent for a 2-bedroom apartment is $491 a month. Fair market rent for a 3-bedroom apartment is $636 a month. 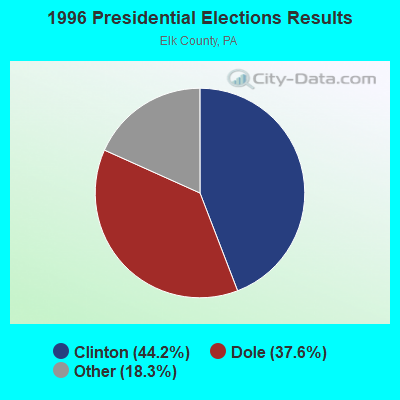 Cities in this county include: St. Marys, Ridgway, Johnsonburg, Kersey, Weedville, Byrnedale, Wilcox, James City, Force. 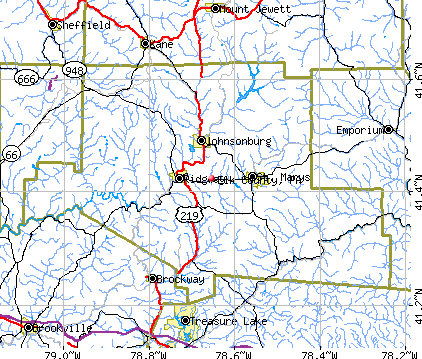 Neighboring counties: Cache County, Utah , Humboldt County, Nevada , Nantucket County, Massachusetts , Cuyahoga County, Ohio , Forest County , Kosciusko County, Indiana . 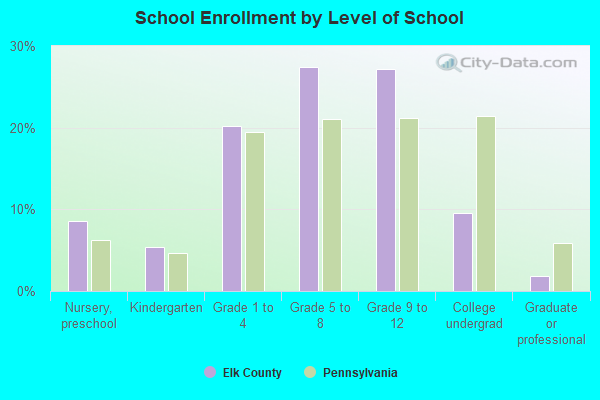 Elk County historical area-adjusted tornado activity is significantly below Pennsylvania state average. It is 27473872.4 times below overall U.S. average. 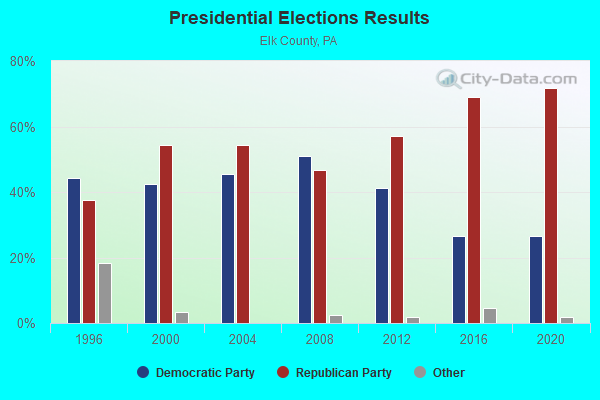 Elk County-area historical earthquake activity is near Pennsylvania state average. 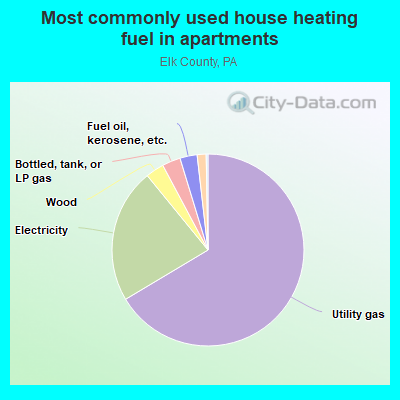 It is 86% smaller than the overall U.S. average. 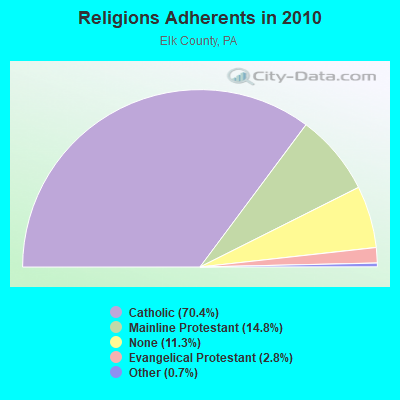 The number of natural disasters in Elk County (6) is smaller than the US average (13). 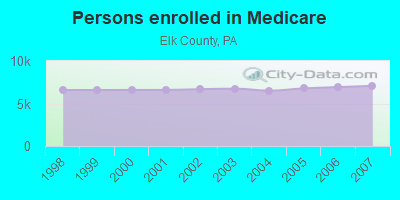 Average gross adjusted income of non-migrant taxpayers in this county in 2010 was $49,953. Suicides per 1,000,000 population from 2000 to 2006: 88.2. This is less than state average. Size of family households: 4,299 2-persons, 2,027 3-persons, 1,274 4-persons, 591 5-persons, 154 6-persons, 68 7-or-more-persons. 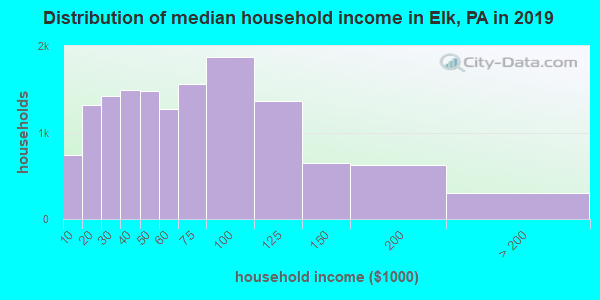 Size of nonfamily households: 4,393 1-person, 409 2-persons, 47 3-persons, 25 4-persons. 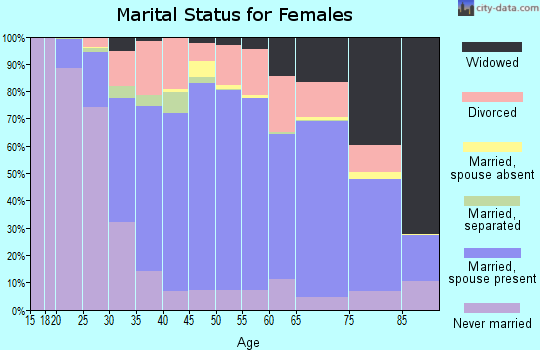 3,948 married couples with children. 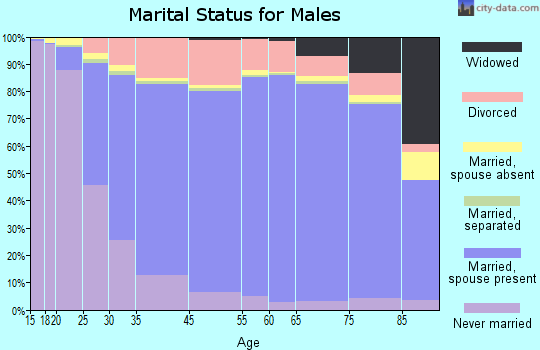 1,586 single-parent households (607 men, 979 women). 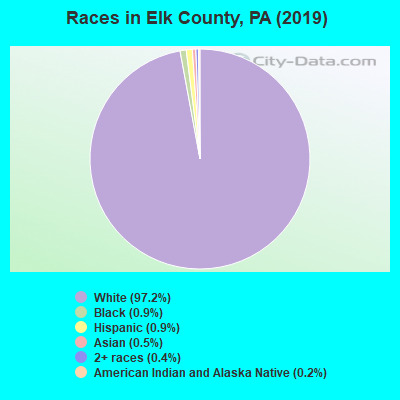 98.3% of residents of Elk speak English at home. 0.3% of residents speak Spanish at home (65% speak English very well, 32% speak English well, 3% speak English not well). 0.9% of residents speak other Indo-European language at home (79% speak English very well, 15% speak English well, 5% speak English not well). 0.1% of residents speak Asian or Pacific Island language at home (42% speak English very well, 50% speak English well, 8% speak English not well). 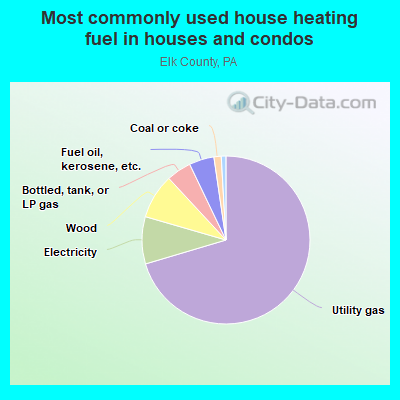 91.9% of Elk County residents lived in the same house 1 years ago. 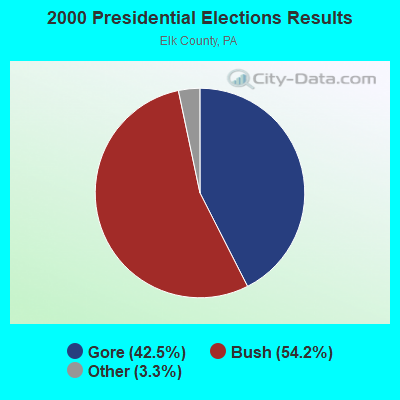 Out of people who lived in different houses, 45% lived in this county. 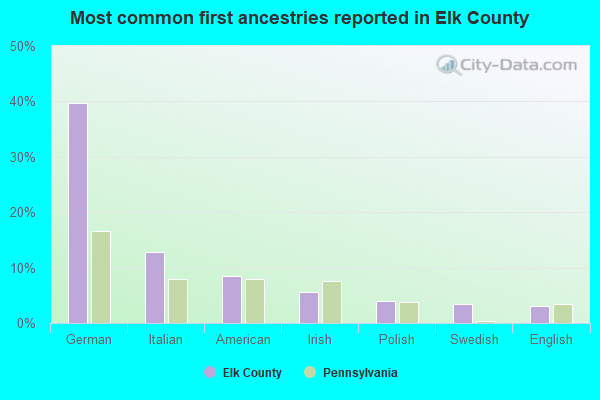 Out of people who lived in different counties, 77% lived in Pennsylvania. 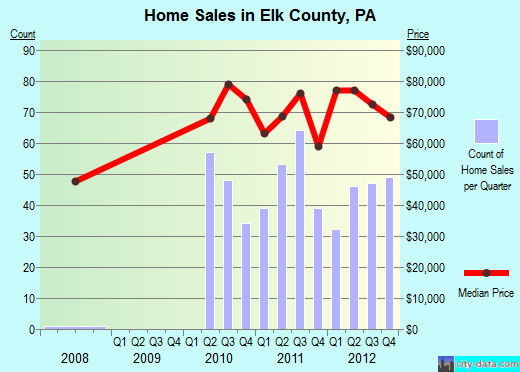 #2 on the list of "Top 101 counties with the lowest percentage of residents relocating to other counties in 2011"
#5 on the list of "Top 101 counties with the lowest percentage of residents relocating from other counties between 2010 and 2011"